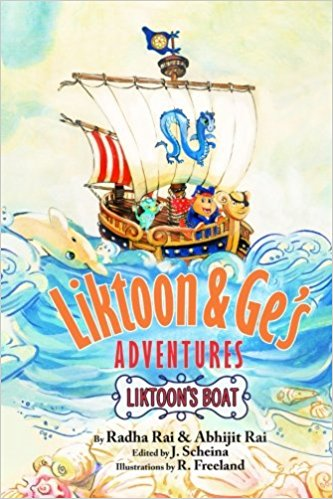 Liktoon’s Boat – an illustrated children’s book- is not only a magical adventure filled with colorful illustrations – it’s also a fun introduction to concepts like earning and saving money for a goal. It’s important to teach our kids to be money savvy, especially during their foundational years so that they can grow into financially responsible adults. Financial expert, blogger, mom and author, Radha Rai , wants children to understand from an early age what money is, how to earn it, where to grow it and how to spend it. In fact, her new book, Liktoon’s Boat, provides introduction to basic mathematical and financial concepts – just in time for Financial Literacy Month. Radha is also a financial professional, community volunteer, and entrepreneur, having earned her MBA from The University of Chicago, Booth School of Business. She was born in Bihar, India where she had to go against the societal grain to get herself and her younger siblings educated. Visit http://liktoon.com/site/ for more information. This entry was posted in Award, celebrity, honoree, India, Recognition, women and tagged addition, assets, author, blogger, financial expert, financial literacy, liabilities, multiply, Radha Rai, subtraction, Today's Honoree. Bookmark the permalink.